Have car seat questions? Need a hand with installing? Let our certified CPSAC tech help you in the comfort of your own home. 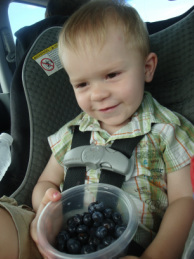 An estimated 90% of car seats are installed and/or being used incorrectly on our Canadian roads. By law it's up to the driver to ensure that all passengers under the age of 16 are buckled in properly. Different vehicles and different models of car seats can make installation frustrating! Are you 100% confident that your child's car seat has been installed correctly? We are pleased to offer families an in depth car seat check or installation session. These sessions are very in depth and usually take about an hour for up to two seats. The goal is for parents to feel confident installing and using each car seat. To ensure every client receives the proper attention to detail we request that an appointment be booked. We will ask for your vehicle's make, model and year; and your car seat's make and model at the time of booking. Doula Sonja is our certified "Child Passenger Safety Technician" and would be happy to help you with your car seat(s), in your home, on your schedule. She has been certified for over 5 years as of 2018. We serve all areas in and around, Calgary Alberta. Want to Host a Group Session? Do you have a mom's group, or other organization, that could benefit from holding a car seat information session? We'd be happy to work with you to arrange a group information session. When our son began to outgrow his infant car seat at 8 months, we decided it was time to get a convertible seat. Although my husband tried installing the rear-facing convertible seat in our truck, we were left confused and worried as to what to do with the rear-tether and felt that the seat was moving far too much to be safe. It was at that point that I called Sonja for help and was I ever glad that I did. Sonja arranged a convenient time to come to our house and walk us through the process of the car seat installation. She not only installed the car seat properly for us, but was incredibly knowledgeable and gave us tons of advice and tips that we would have never known otherwise regarding car seat safety. My husband and I felt a million times better knowing that our car seat was properly installed and that our little boy would be far safer as a result. I would highly recommend that everyone get Sonja’s help; you will be glad you did!